Dolet Etienne, the friend and disciple of Servetus, was born at Orleans, in 1509; and is said to have been a natural son of Francis I., King of France, by Madame Cureau. He studied first at Paris, and afterwards at Padua and Venice. About the year 1532, he left Italy, and returned to France. He then studied at Toulouse, where his irregularity, and want of respect for his superiors, involved him in no small trouble; and led at last to his imprisonment. After a month's incarceration he was liberated; but being suspected of a leaning towards Lutheranism, and even charged with Atheism and impiety, he was expelled. He then went to Lyons, where he was employed, as a corrector of the press, by Sebastian Gryphius. In 1534, he removed to Paris; but he returned to Lyons in 1536, where he commenced the business of a printer and bookseller. His literary labours procured for him the friendship of some of the most learned of his contemporaries: but by the freedom of his remarks, he incurred the censure and dislike of others. Calvin classes him with Servetus, and Cornelius Agrippa ; and calls them Cyclops, and notorious despisers of the Gospel. Dolet's acquaintance with Servetus was formed during the residence of the latter at Lyons ; and he not only became a convert to the opinions of Serve tus, but a zealous propagator of them. He was in the habit of sending heretical books to Paris, of which indiscretion his enemies took advantage, to involve him in a charge of infidelity. 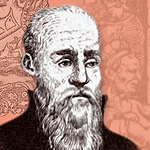 In 1539, he accidentally killed a man, which rendered it necessary for him to quit Lyons. Some time after this, he was arrested, and thrown into prison; but he was liberated, at the intercession of his friends, on giving a promise that he would in future lead the life of a good Catholic. He failed, however, to perform this promise; and was again imprisoned in 1544. On this occasion he made his escape, and fled into Piedmont; but imprudently returning shortly afterwards, he was seized, and tried on a charge of Atheism, for which he was sentenced to be burnt alive, in the thirtyseventh year of his age. Non pia turba dolet, sed dolet ipse Dolet. He wrote and published several works in Latin and French, chiefly of a literary kind. Many of these are works of great rarity, and are seldom found in libraries. Some are in verse, and display considerable talent: but there was a degree of indelicacy in Dolet's epigrams, which made him many enemies. To a volume of Poems in four Books, published in 4to., A.D. 1538, are subjoined the following complimentary verses, by one of his admirers. Virgilius: inter Hhetores est Tullius. Utrumque si non vincit, exa?quat tamen. 4. An Explanation of the Lord's Prayer, in Latin. The name of Dolet does not occur in Sandius's list of Antitrinitarians; but Bock notices him both in the biographical and historical part of his work, and in the former gives a detailed account of his published writings. He was a less estimable man than Servetus; and his history does not carry with it the sympathy of the reader in the same degree, although both were sufferers in the same cause. This is in some measure owing to the levity, with which he did not scruple to treat the superstitious notions of the day; and which led his contemporaries to regard him as an Atheist.